Challenge started in 1978 with small print editions of the paper produced on a photocopier. The first tabloid edition was printed in August 1980. When Challenge started we printed 5000 papers per month predominantly for Western Australia. 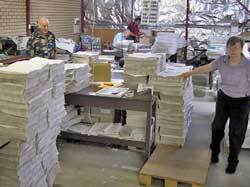 Slowly but surely we expanded into the Eastern States and at our peak we were printing 63,000 papers per month. Today we produce the paper for 20 plus countries in partnership with the UK Goodnews Paper. We have moved from doing a total yearly print-run in the early eighties of around 60,000 papers, to approximately 4,000,000 papers. Founded by Eric Evans in the late 1970s, the ministry story is a miracle in itself. Eric served in the British Navy during World War II, then continued to work at sea, first from the UK and then after migrating to Australia. Making a commitment to Jesus Christ in his 40’s, Eric became a lay-preacher, always on the lookout for suitable material to take on door-to-door visitation. His suitcase of Bibles was heavy, to say the least! Eric was inspired by a verse from Habakkuk 2:2-3 which was eventually to lead Eric into founding a print shop. It should be made clear that Eric had no working experience in print; rather he trusted in God to give him the skills, resources and people to get the job done. The team began to form, first in workers homes, then to rented premises in Perth’s southern suburbs. 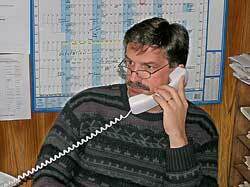 Like Eric, many contributors had minimal print experience. Within a few years of conception Eric invited Carl Carmody onto the team. 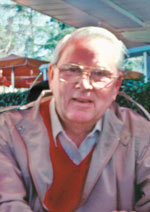 Carl, trained in TV and Film media took a step of faith in accepting the offer and remains to this day committed to the ministry as editor of the newspaper. He also promotes Challenge world-wide. 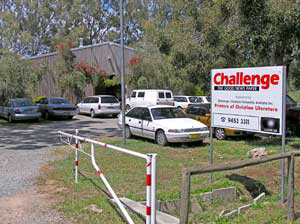 As we believe that Jesus Christ is Lord Challenge is familiar to most Australian evangelical churches. We are blessed to have our own premises in Perth; and a stable team of full and part-time workers who have gifts that enhance various aspects of the ministry.